Police said 17-year-old came to the East St. Louis Police Department and asked to talk to investigators about the shooting. EAST ST. LOUIS, Ill. – A 17-year-old was charged as an adult Wednesday in connection with the deadly shooting on a MetroLink platform Monday night. Catrell L. Dent, 17, was charged as an adult with first-degree murder and aggravated unlawful use of a weapon Wednesday. His bond was set at $1 million and he will be held in juvenile custody until his 18th birthday when he will be moved to the St. Clair County Jail. There is no mug shot at this time because he is being held in juvenile detention. Just before 11 p.m., police were called to the MetroLink at 5th and Missouri for a person shot either on the platform or near the train while it was stopped. Police arrived within four minutes of the call and witnesses told them the victim, 18-year-old Lundy Blue, ran across the parking lot towards Broadway Avenue. 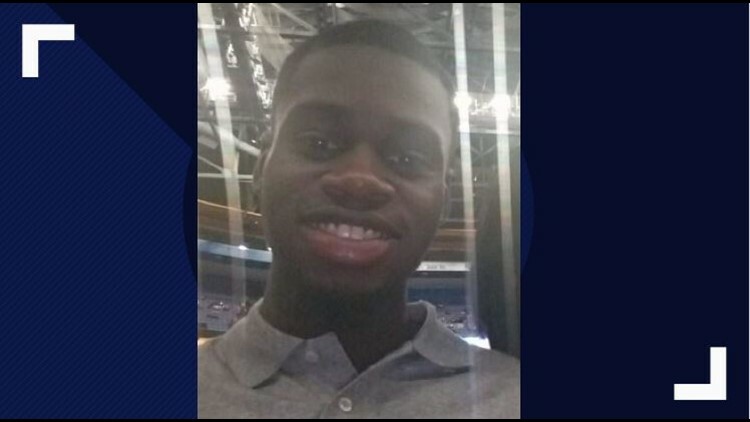 Lundy Blue was shot and killed on a MetroLink platform Monday night. The Major Case Squad has been activated to investigate. Deputies found out Blue and Dent were on the westbound train. As both began to exit the train, a single shot was fired and they both began running away. Police found Blue, but the Dent was able to get away. Blue was taken to the hospital where he later died. Police said Dent came to the East St. Louis Police Department and asked to talk to investigators about the shooting. After talking with Major Case Squad investigators, Dent was taken into custody as a person of interest in the case and was charged Wednesday. Police said Blue and the suspect appeared to know each other and the shooting was not random.